Give your dishes a little extra spice! Pink Himalayan salt with addition of Mediterranean herbs. Give your dishes a little extra spice! 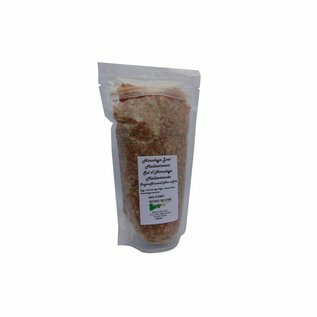 This sealed and resealable bag with sealing strip contains Pink Himalayan salt and an addition of Mediterranean herbs. Pink Himalayan salt is a pure and unrefined salt that comes from the primeval seas that occurred millions of years ago in the Himalayas of Pakistan. 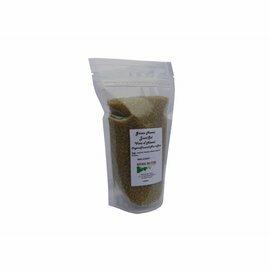 This salt has been extracted for years and belongs to the most natural and pure species. It is considered the most nutritious salt in the world! Pink Himalayan salt contains many trace elements and minerals such as calcium, sulphates, zinc, magnesium, and much more. These rich minerals give the salt its characteristic pink color. In total we find more than 84 nutrients in the Pink Himalayan salt. 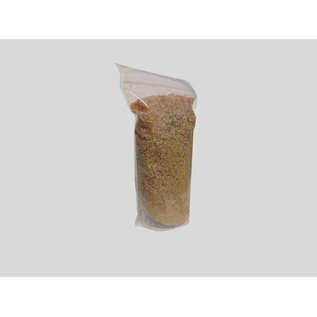 The exclusive unrefined salts of NATURAL BIO STORE Finest Selection are European certified products, ready for use and consumption. 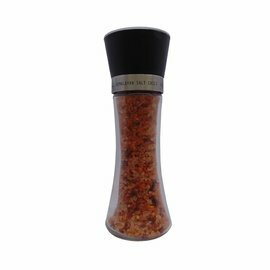 The full range of natural salts is available in resealable and sealed packaging with closure strips or in handy, refillable salt grinders made of crystal glass, ready-to-use! Pink Himalayan salt helps to detoxify the body. 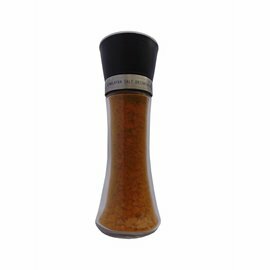 Pink Himalayan salt has a considerably lower sodium content than the normal kitchen salt. 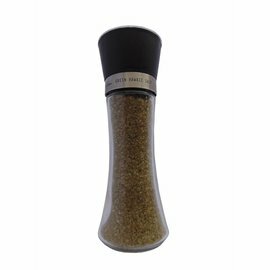 Pure unrefined natural salt with the addition of herbs. 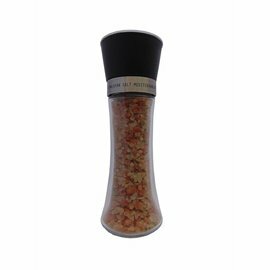 Pink Himalayan salt with Mediterranean herbs is also available in a handy refillable salt grinder! 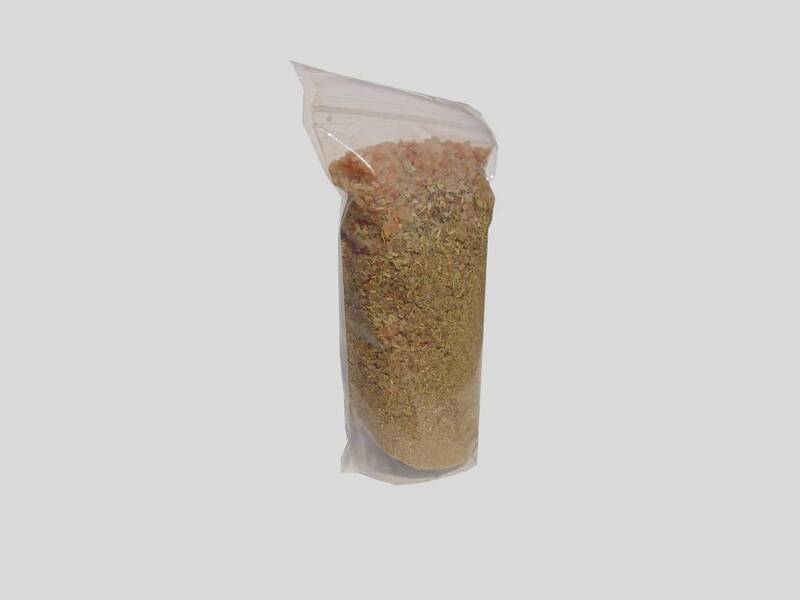 Dosing moderately, the taste of this salt is somewhat stronger than average kitchen salt. Free shipping and returns from 59€ for Belgium, Netherlands & Luxembourg (for orders <29kg). For other countries and other quantities: view the shipping conditions here. 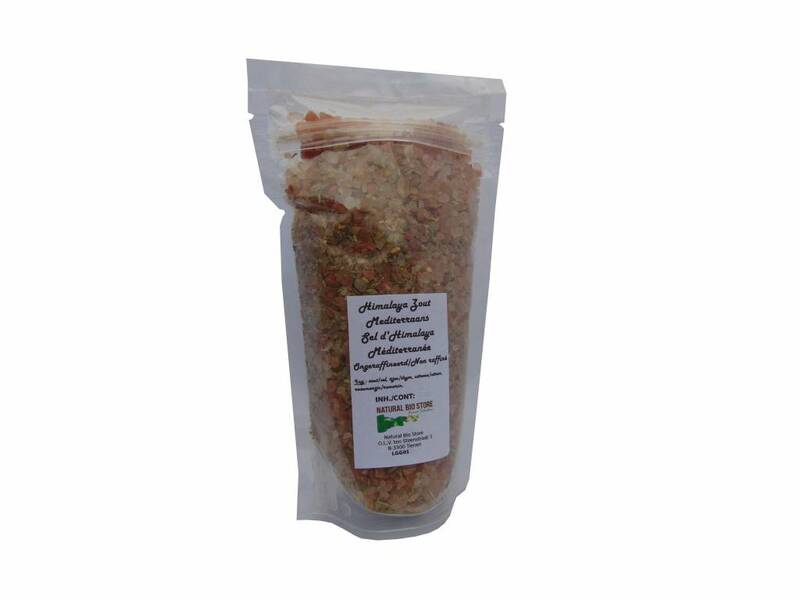 PINK HIMALAYAN SALT WITH MEDITERRANEAN HERBS @ NATURAL BIO STORE !